Hi guys! Today I have a few colors from a brand that is new to me and my blog, Priti NYC. 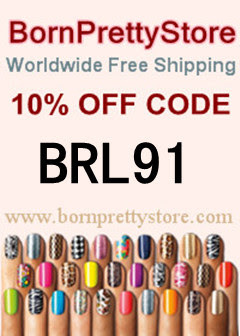 I was excited to try out their polishes, as I had heard good things about the brand from friends. The first color I am reviewing is called Geisha Girl. Geisha Girl is a dusty, grey toned purple. The formula was easy to work with, and it was opaque in two coats. I am not sure if this color looks great with my skin tone but I think it's very pretty. It's a nice creme that I think is versatile for many different looks since it isn't overly bright or overbearing. Etoile Violet is a very vibrant opalescent purple shade. It was super hard to photograph accurately but I think I have it pretty well-represented in the above pics. The formula wasn't quite as easy to work with as the previous color was, but I did two coats and it worked out alright, it was the first coat that was a little stubborn. The finish is gorgeous on this one! This color is really fun and lively. Overall I was really happy with my first Priti NYC experience and would definitely love to try more of their colors in the future! These polishes retail for $12.50 each and can be purchased from their website, here. What do you think of these colors? 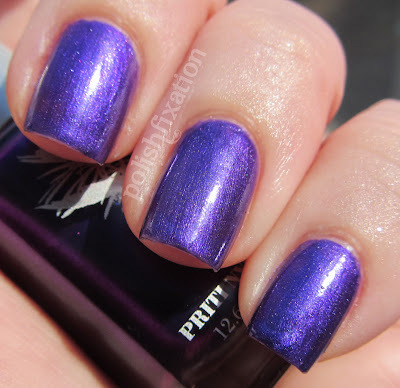 Have you ever tried Priti NYC polishes? OMG these are both gorgeous! Why is it all the good stuff has to be ordered online tho? I HATE paying shipping! I really love Geisha Girl! What a gorgeous dusty purple! I have never heard of this brand. I think I have to check them out! I just had a pedicure done with Etoile Violet! Did ok with two coats. Would ask for a third next time. It's a blue-tinged violet. Will now be adding Geisha Girl to my list. Agree with ProudMary -- shipping is no fun! I really love Geisha Girl! !